I feel like all real skateboarders support that mom-and-pop shops. A couple of days ago, Huf stores have released images from their first delivery Spring 2011 lookbook shot in downtown Los Angeles. Not a lot of action, but just plain simple styles and graphic tees. 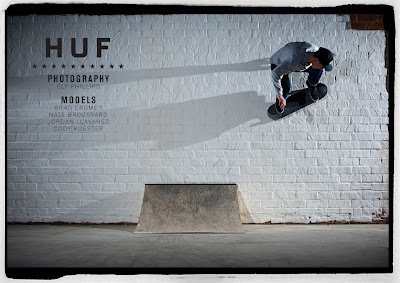 You can view the whole lookbook at Huf website.